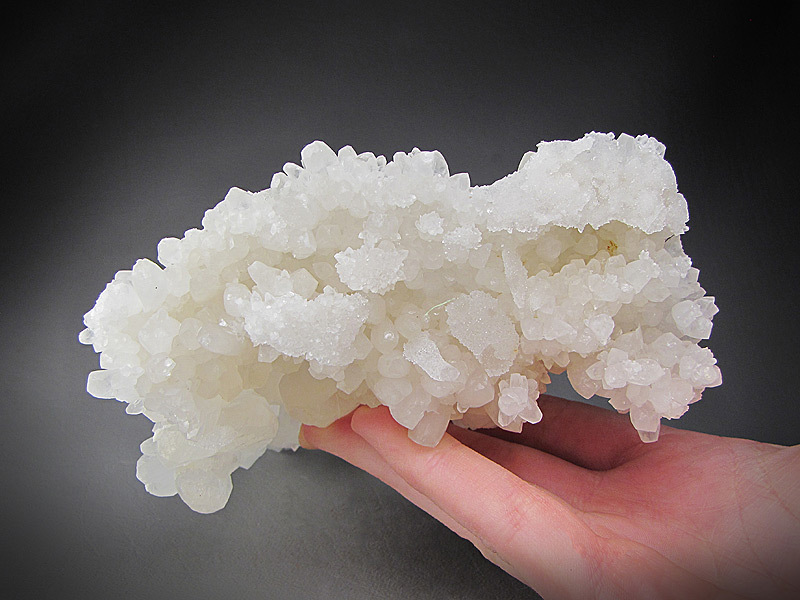 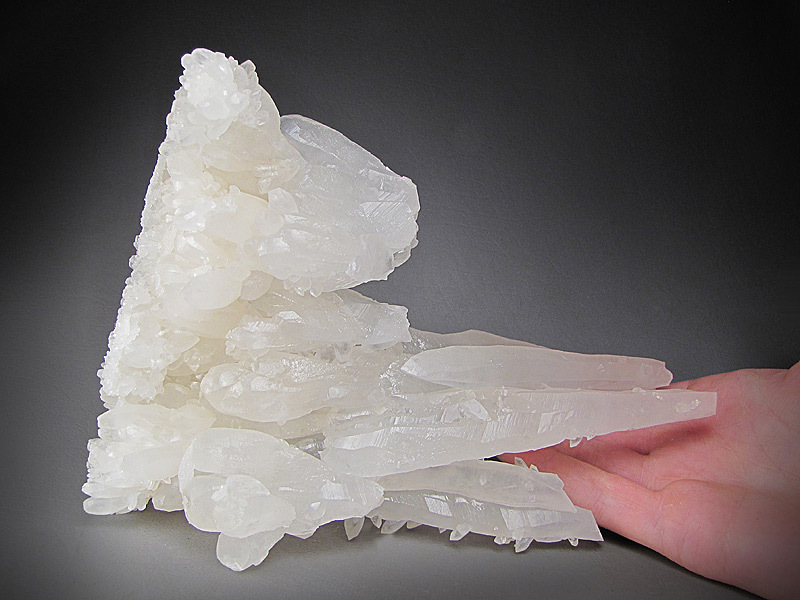 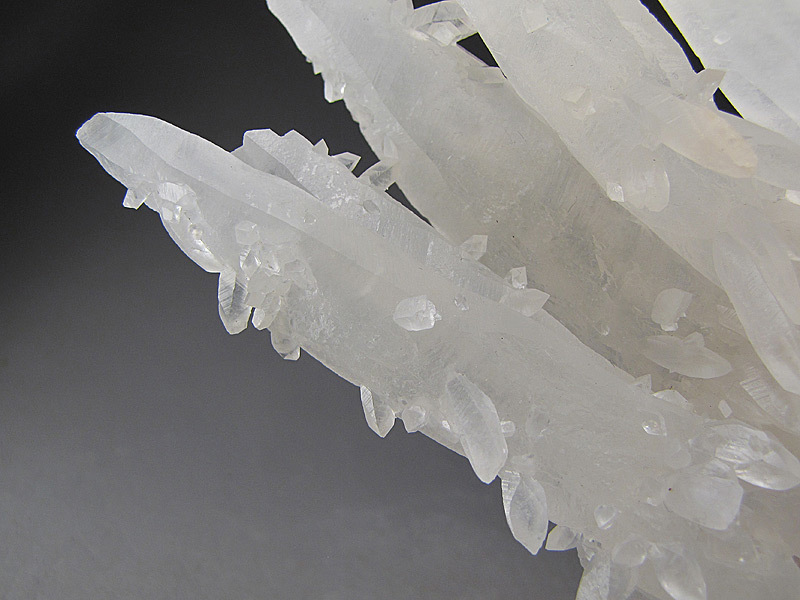 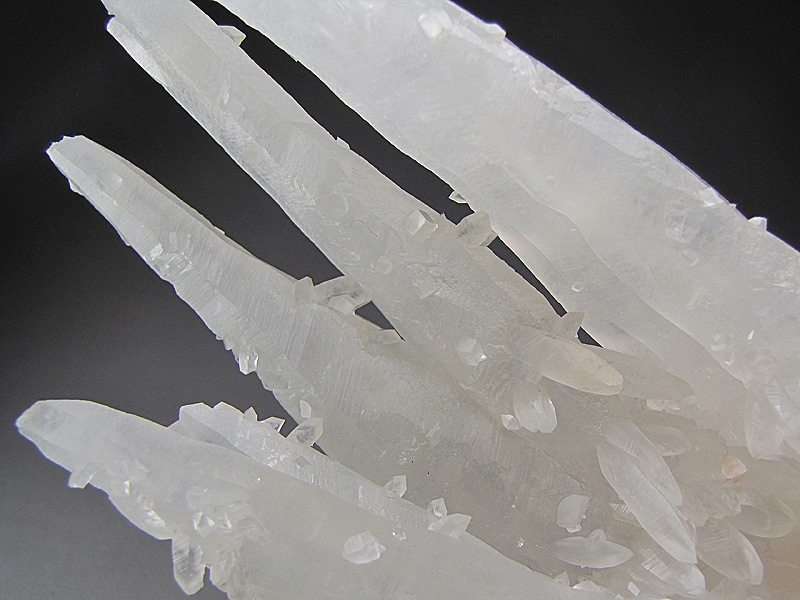 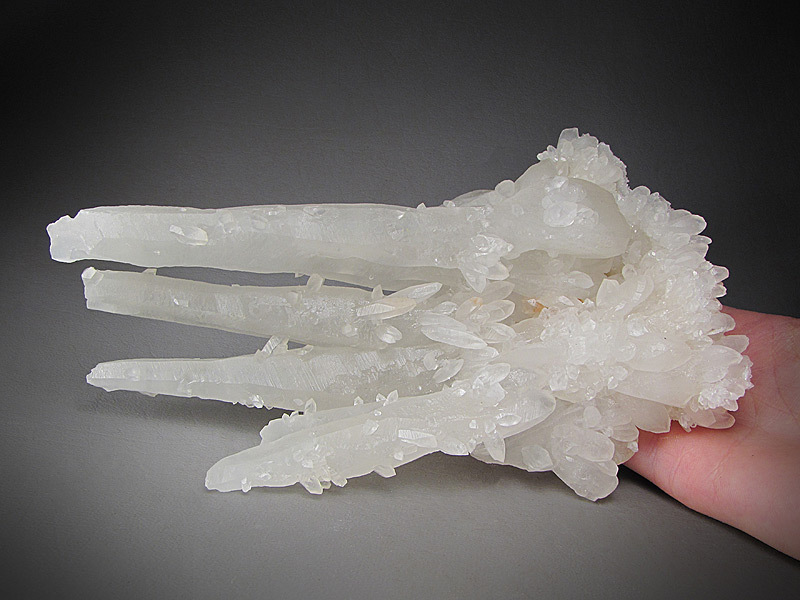 This is a fine, elongate stalactite-like cluster of bright translucent calcite. 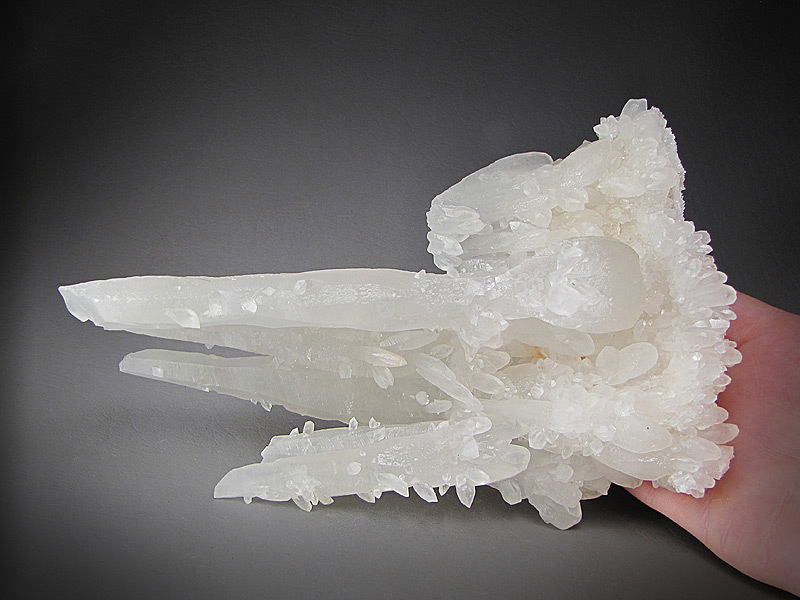 There is no evidence of a stem hole that would make this a true stalactite so it is more like nature imitating nature. 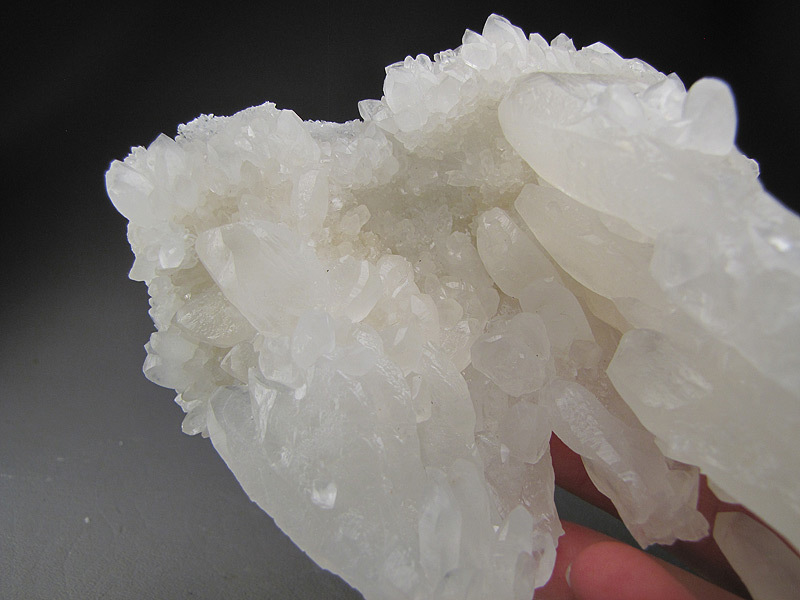 The locality is Wenshan Autonomous Prefecture, Yunnan Province, China. 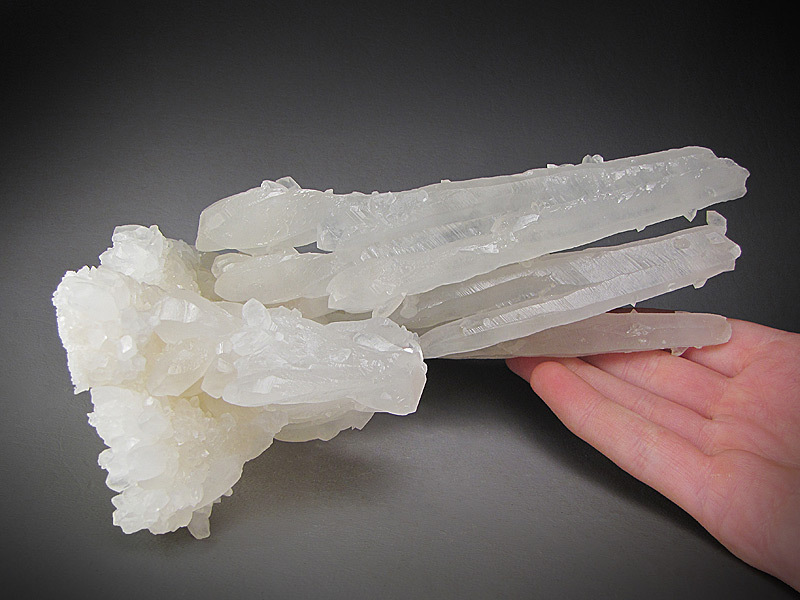 The piece measures overall 17 cm wide by 13 cm tall and is 6.5 cm front to back. 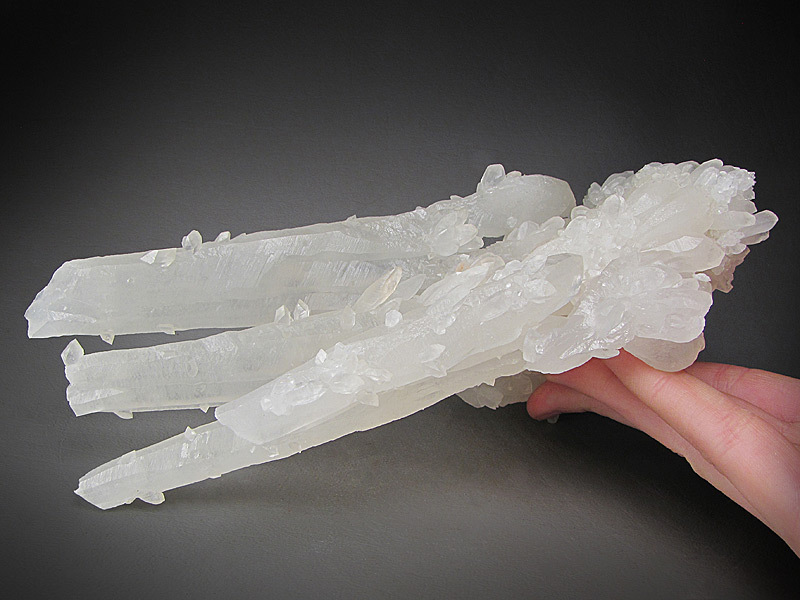 This piece is in excellent condition except for bruising of a couple of the minor crystal points.